I’ve never been a big fan of cannelloni beans, but chefs here love them (in salads, on pizzas…). I’ve had a can sitting in my pantry staring at me for months, so I decided to give this recipe a try. Delish. The beans are so mild that the parsley and garlic really come through, balanced by the lemon juice. And it’s super easy. Combine all ingredients in food processor and pulse. Salt and pepper to taste. 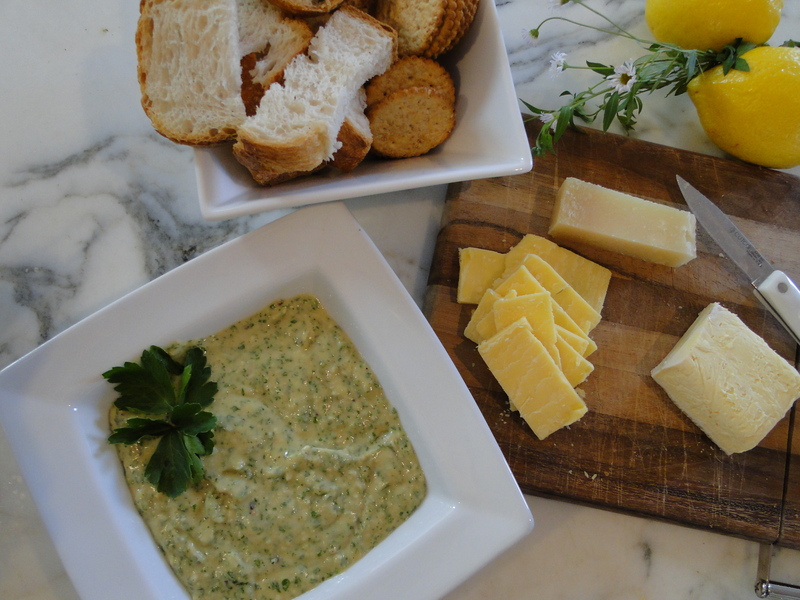 Serve with french bread and/or crackers, and assorted cheeses. I hadn’t had them too often until this year and I’m hooked. This dip looks awesome!